SJ Equity Management Founder Nick Jabbour, Greycroft Partners Partner Kamran Ansari and Newscred Acting Chief Financial Officer Amy Wu on whether they would invest in Sailo with CO-Founder Delphine Braas. 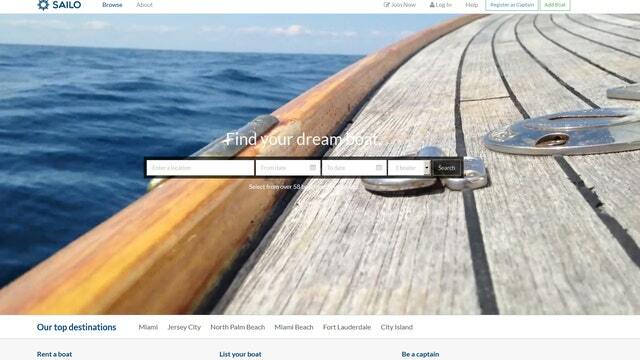 Sailo, an online boat rental marketplace, launched in New York and Florida this fall and the team is looking to grow their business. The company connects renters with private boat owners and licensed captains. Cofounder Delphine Brass will be appearing on Risk & Reward on Friday Nov. 21. Judges Nick Jabbour, founder at SJ Management; Kamran Sansari, partner at Greycroft Partners; and Amy Wu, director of business operations at NewsCred, will be evaluating Sailo’s business plan. Brass met the other Sailo founders Adrian Gradinaru and Magda Marcu at Columbia Business School. They are currently working out of the Columbia Startup Lab in Soho.